Exhibition is open from 17.04.2015. to 23.08.2015. in the Museum of Arts and Crafts at Trg maršala Tita 10 in Zagreb. Herman Bollé is one of the most important, famous and controversial Croatian architects whose role in transforming Zagreb from small provincial town into Central-European metropolis is undeniable. Bollé was a German born in Cologne, who worked in Italy and Austria before receiving an invitation from bishop Strossmayer to come to Zagreb and work on a restoration of Zagreb cathedral in 1879. In 1880. Zagreb got hit by a strong earthquake and Bollé was named head restaurateur which lead to numerous controversies and built up an army of Bollé's critics. Bollé believed that medieval churches damaged in the earthquake should be restored according to the original design, so he decided that valuable renaissance and baroque art pieces should be removed. Apart from his restoration and architectural projects, he played a major role in the education of young architects and the development of artistic crafts in Zagreb, based on his projects. His work was constantly followed with criticism and one of better examples is the water fountain "Bolle's mushroom" in Zrinjevac park. The first part of the exhibition takes us to the early days when he worked as an associate in Friedrich von Schmidt's atelier in Vienna and Rome. Second part covers the time after the earthquake in Zagreb, when Bollé worked on restoration projects on the cathedrals in Zagreb, Krizevci and Pakrac, the church in Marija Bistrica, Franciscan churches in Ilok and Zagreb, and the Church of St. Anne in Krizevci. The third part shows architectural styles in Bollé’s opus: Neo-Gothic, Neo-Byzantine, Neo-Romanesque, Neo-Renaissance, and the attempt to create "Croatian National and Secession style." You may not notice it, but some of the famous buildings in Zagrebs were either designed or restored by Bollé: Zagreb cathedral, the archbishop’s palace, the Church of St. Mark and Mary’s Church at Kaptol, the Franciscan, Orthodox, Greek-Catholic and Evangelist churches, the palace of the Government Department for Religious Affairs and Education, the fountain and the meteorological post at Zrinjevac Park, the Museum of Arts and Crafts etc. 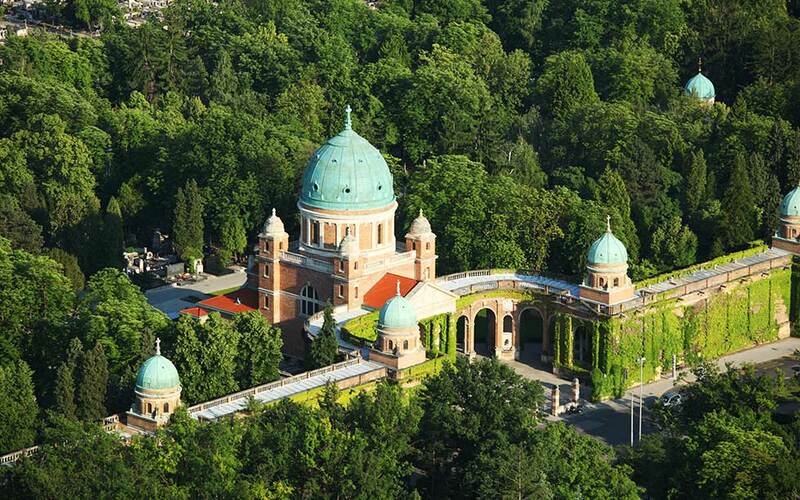 The crown of his work is the Mirogoj Cemetery, his most important original development and an architectural masterpiece, considered one of the most beautiful cemeteries in Europe. It is interesting to mention that Bollé's numerous critics could not make peace that Mirogoj is his work. The fifth part tells of his important role in the history of artistic crafts in Croatia.